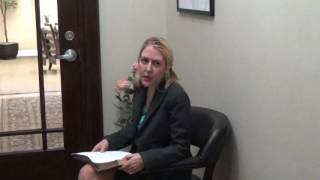 What Questions Should You Ask Before You File For Chapter 11 Bankruptcy in Tampa? As many restaurant owners in the Tampa Bay area know, business can be tough at certain times of the year. Given that much of the South Florida economy is based on tourism during the fall, winter, and spring months, the “off-season” of summer can be difficult for small business owners and restaurant owners in particular. If you are having difficulty paying your restaurant’s debts, and you find yourself going into more debt to keep the restaurant open, it might be time to think about whether filing for bankruptcy is right for you. Before you file for Chapter 11 bankruptcy, we have a list of some helpful questions that can help you to decide whether this category of bankruptcy is indeed the right one for you. Should My Restaurant File for Chapter 11 or Chapter 7 Bankruptcy? You may have heard that Chapter 11 bankruptcy allows you to keep your restaurant open while reorganizing your debts. 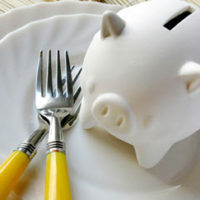 To be sure, Chapter 11 bankruptcy for restaurants works a lot like Chapter 13 bankruptcy for individuals: rather than liquidating your assets (or the assets of your restaurant), you develop a repayment plan that will provide your creditors with a certain amount of what you owe, and you will be able to get back on track. Many restaurant owners in Tampa decide to file for Chapter 11 bankruptcy instead of Chapter 7 bankruptcy because it allows them to keep the restaurant open, and to give themselves a path to making their business profitable again in the future. Filing for Chapter 7 bankruptcy, differently, requires the restaurant to close and for the owner to liquidate assets in order to repay creditors. Chapter 11 likely sounds like a better route for you if you want to keep the doors to your Tampa restaurant open. But is it viable? Can You Conceive of a Viable Repayment Plan for Your Restaurant? If you file for Chapter 11, do you currently have creditors who would agree to a repayment plan in order to keep your restaurant open? Will those creditors continue to back your restaurant once you have filed for Chapter 11 bankruptcy? And given the income and assets of the restaurant, is the payment plan you have in mind something that is actually feasible given the typical earnings of the restaurant? A Tampa bankruptcy attorney can discuss payment plan options with you and help you to reach out to creditors. Will the Restaurant Be Viable in the Future Once the Chapter 11 Repayment Plan Ends? One of the most important questions in determining whether Chapter 11 bankruptcy is right for your situation is whether your restaurant will be viable once the repayment plan associated with your bankruptcy comes to an end. In other words, you need to ask yourself how you ended up in a situation that required bankruptcy in the first place. Did you have a major unexpected series of expenses that left you in debt? Did your business plan fail to account for Florida’s dipping tourism during the off-season, and you have found a way to counteract that issue in the future? Or, alternately, has your restaurant had difficulty attracting customers since you opened its doors due to the demographics of the area? These, as well as many others, are important questions to ask in order to determine whether it truly makes sense to work through a repayment plan. If the business is not viable, it could make more sense to liquidate assets earlier on if there is a possibility that you may have to do so in the future. If you are thinking about filing for Chapter 11 bankruptcy in order to repay debts while keeping your restaurant open for business, it is important to discuss your case with a bankruptcy attorney in Tampa. An experienced lawyer at our firm can speak with you today. Contact Tampa Law Advocates, P.A. for more information.